Finding Truth, the first book in the Brenwyd Legacy, an epic trilogy about the role of believers in the unseen battle between good and evil. By Rosemary Groux, winner of Mom's Choice Award, with 5 Star Rating by Home School Book Review: Cassie Pennington always knew she was different. But her keen senses, high intelligence, and ability to talk to animals are easier to hide than the pointed ears that she develops on her tenth birthday. She learns that she is descended from a special group of people who are as much in danger as they are gifted – the Brenwyds. Her father, a history professor specializing in the time of King Arthur, recognizes the strength of Cassie’s gifts and the potential for her destiny – both of which put Cassie at risk. So, he begins to train her to protect herself from Brenwyd enemies. But no amount of training can prepare Cassie for the adventure that she is thrown into when a mysterious organization kidnaps her parents – though their greater mission, spurred by an ancient prophecy, was to capture Cassie herself. Narrowly evading them, she sets out for Glastonbury, England on a quest to rescue her parents – with the help of her two best friends, a suspicious new acquaintance named William, and Cassie’s beloved entourage of horses and other animals. Along the way she begins to discover hidden truths about her own identity, as William makes some discoveries of his own about the meaning of grace and the God he thought he knew. 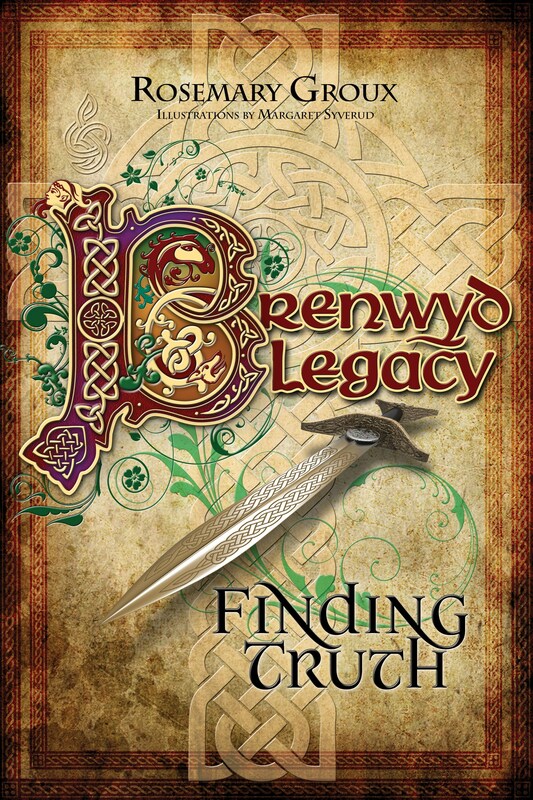 Finding Truth is the first book in the Brenwyd Legacy, an epic trilogy about the role of believers in the unseen battle between good and evil. 5 Stars: Reviewed by Wayne S. Walker of Home School Book Review Cassandra (Cassie) Pennington lives with her parents, father Tyler or Ty, a history professor and archaeologist at the University of Virginia who is especially interested in King Arthur, and mother Leah, in the Blue Ridge Mountains of Virginia., along with her dog Kaiser (Kai), cats Smokey and Calico, and her horses. Her best friends and neighbors are the Thompsons, Benjamin, who has known Ty since college, Ben’s wife Hannah, and their twin children David and Sarah. Cassie has always had some unusual abilities, such as keen senses, high intelligence, and being able to communicate with animals, but at age ten she receives a shock—her formerly rounded ears suddenly become pointed! Cassie learns that she is a descendent of the Brenwyds, a race of people who had been given special gifts by God but during the Dark Ages were thought of as witches and began to be hunted to extinction by the Reficul Brotherhood, an organization started by Mordred in King Arthur’s time to destroy the Brenwyds. The Brenwyds are the source of legends about elves. Cassie is just about to tell all this to David and Sarah on her fourteenth birthday when her parents are abducted by the Brotherhood and taken to England. Cassie determines to rescue them and reluctantly accepts help from the Thompsons and a strange boy named William. Will Cassie find her parents? What will happen to them all? And who is this William? This book is identified as “Christian fantasy,” and while it is fantasy with a great deal of excitement, adventure, and suspense, it is firmly rooted and grounded in a Biblical worldview, which is always refreshing. To see the rest of this review, go to Believe Books Facebook page.